6 km to the slalom piste. 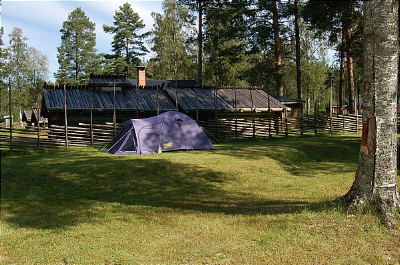 Sälen is 65 km. 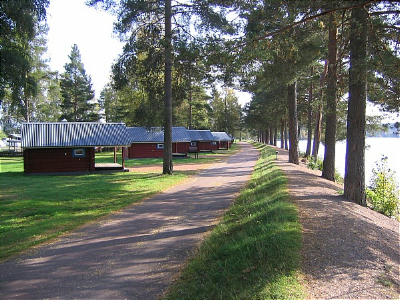 Idre 100 km. 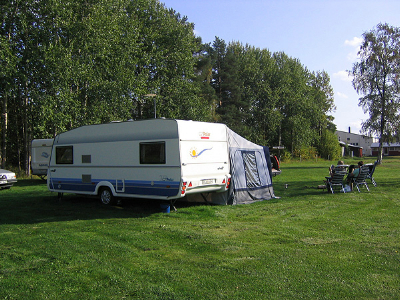 A quick 5 minute walk from the campground takes you to the town centre of Älvdalen with Shops, Hotels and Restaurants. 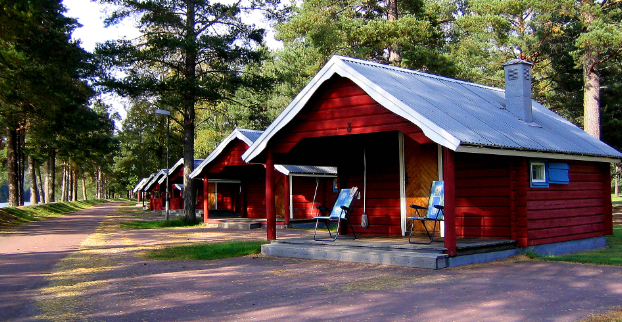 Near the camp is also a sport complex with icerink, an indoor 50m pool, waterslide, solarium, spa and gym. 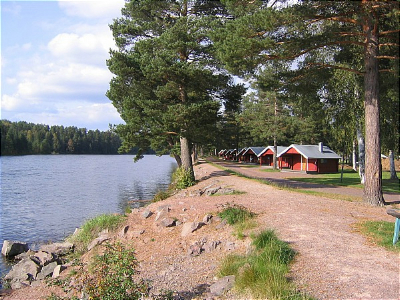 The surroundings of Älvdalen is a beautiful part of the swedish nature and in this area anyone fond of outdoor activities such as fishing or hiking will meet great possibilities for recreation and adventure. 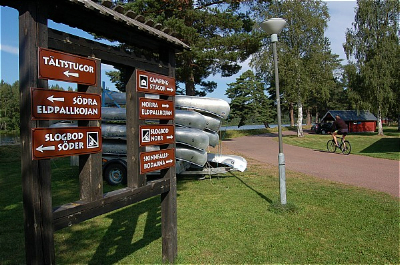 The river is a natural border between civilization and wilderness, enjoy excellent fishing, canoe safaries and much more! 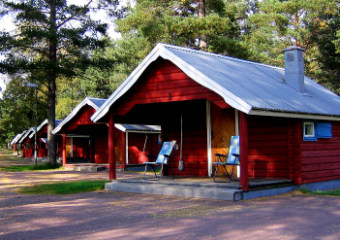 We have cottages of all sizes and fully equipped to a basic standard. 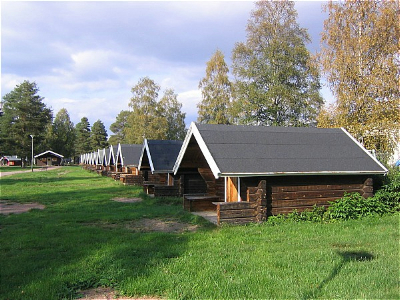 The cottages are centrally located in Älvdalen just a few metres from an indoor pool and ice-skating rink. 5 min walk to the centre with restaurants and shops. 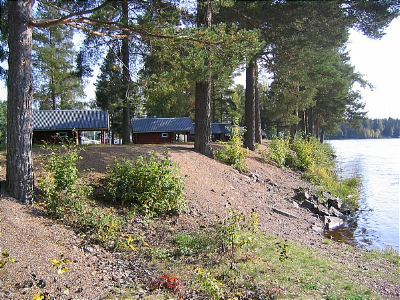 Älvdalens Camping is beautifully situated next to the Österdalälven river. 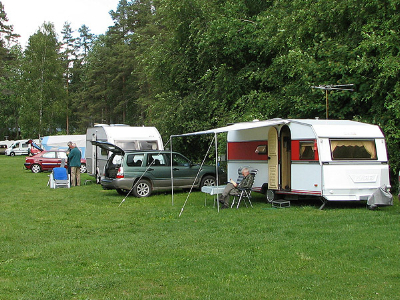 There are pitches for caravans, motorhomes and tents, both with and without electricity. Many have beautiful views of the water and the blue mountains. 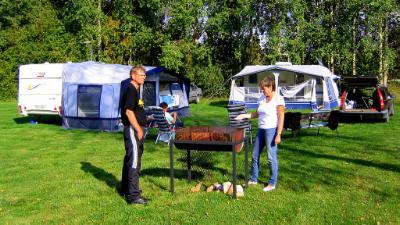 The campsite is big with large green open spaces which offer great variety of places to settle down on. 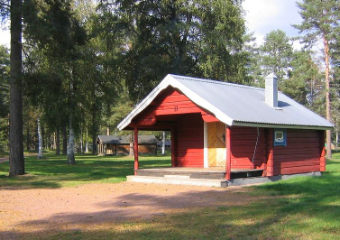 Älvdalens Camping has several different cottage types. Everything from fully equipped cottages with shower and WC, to basic cabins without water, available in summer only. 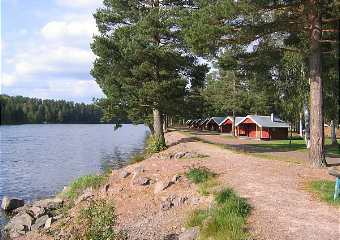 Many cottages have views of the river. Pets are allowed in most cottages.